Richie James had MTSU's only touchdown of the night against Marshall on October 20, 2017 in Murfreesboro, TN (Devin P. Grimes/ MTSU Sidelines). 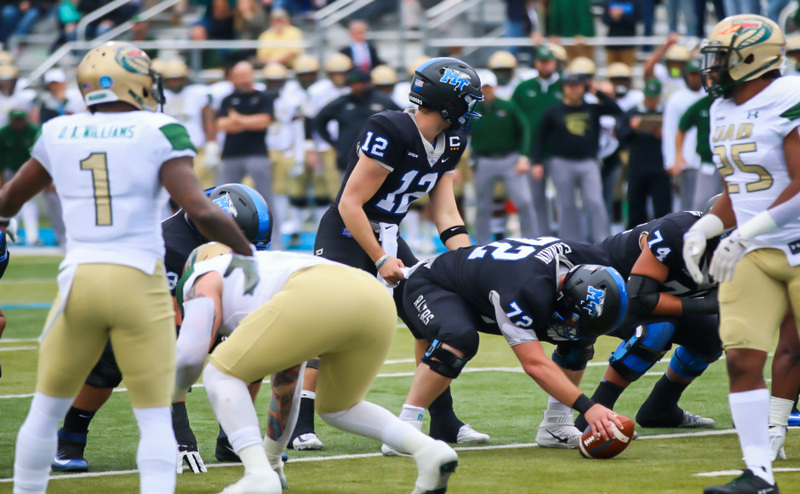 According to a USA Today report on Tuesday night, the Blue Raiders will have to do without quarterback John Urzua and wide receiver Richie James for the rest of the season due to injuries they suffered in the loss to Marshall. Unfortunately for Urzua, the young signal caller will never play another down of football in his life. 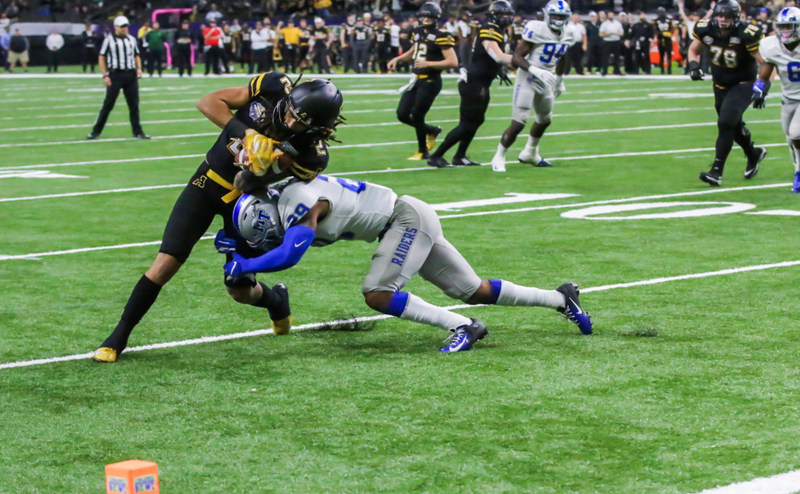 After consulting with team doctors, both Urzua and the MTSU medical staff came to the conclusion that it would be best for the Georgia native to avoid another hit to the head. “(The doctors) told me I’d be crazy not to stop playing because it’s a brain injury,” Urzua said. Urzua has dealt with concussions since high school, with his first one occurring during his junior year at North Gwinnett High School. At MTSU, he suffered a concussion during the final game of the regular season against FAU. Brent Stockstill returned to action for the Hawaii bowl last season, and Urzua didn’t see any action until this season against Minnesota, when he took over for Stockstill again after he cracked his sternum. 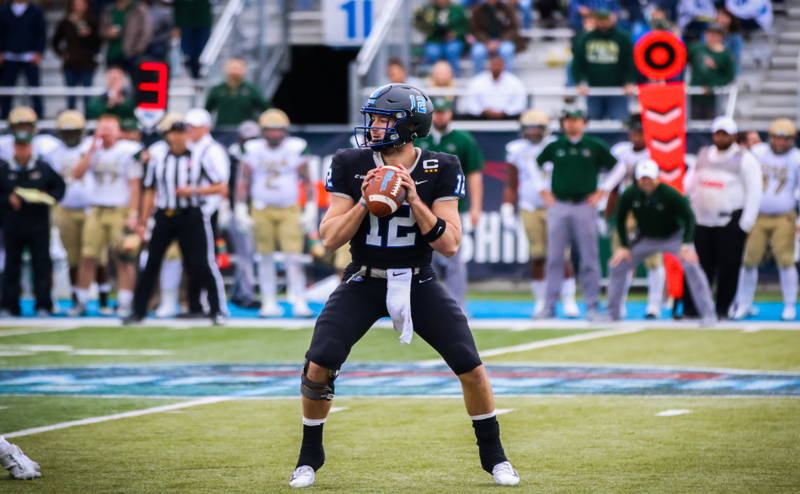 Redshirt freshman Kyle Banks will take over at quarterback on Saturday when the Blue Raiders take on the University of Texas-El Paso at Floyd Stadium. In his collegiate career, Urzua completed 214 of 351 passes for 15 touchdowns and 17 interceptions in 11 games. 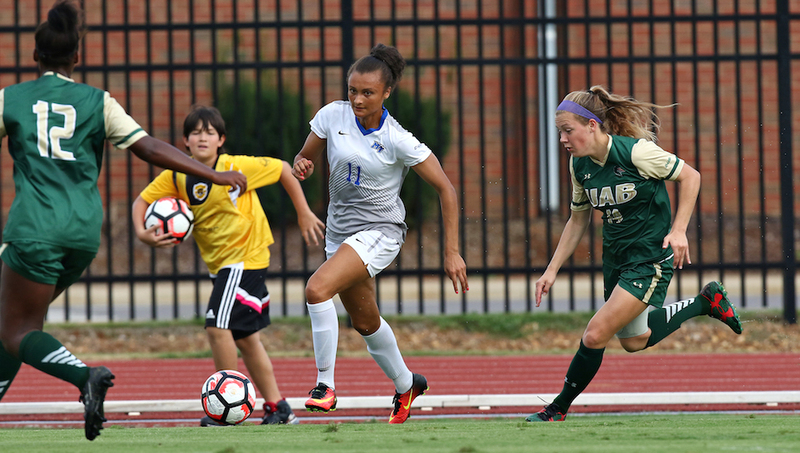 After missing games against Bowling Green, Florida Atlantic and Florida International earlier this year due to an ankle injury, Richie James returned to action against UAB. 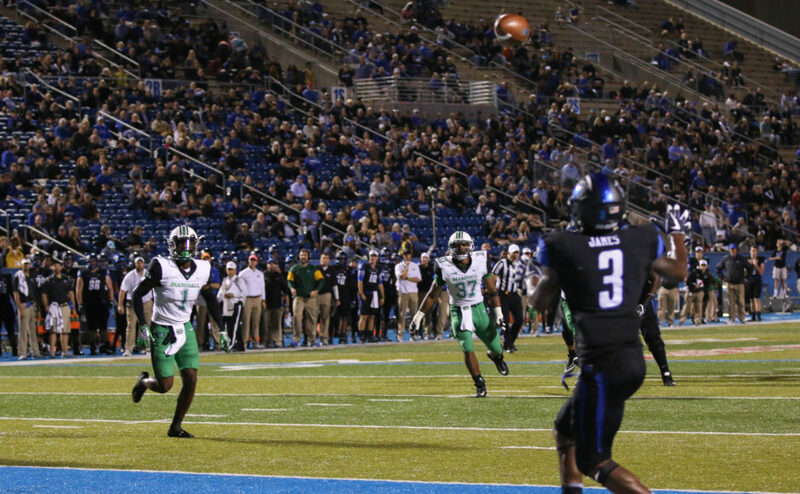 The next week against Marshall, James scored the Blue Raiders’ only touchdown in a 38-10 loss. As time dwindled down in the third quarter, James broke his collarbone coming down hard while attempting to reel in a catch. Rick Stockstill confirmed to the media on Monday that James would be lost for the UTEP game at the very least, and confirmed to USA Today that he would be lost for the year on Oct. 31. In his limited action this season, James became the school’s all-time leader in receiving yards and receiving touchdowns. James caught 31 passes for 290 yards and three touchdowns this season, and is sitting at 3,261 yards and 23 touchdown receptions for his career. The Florida native is also the team’s emergency quarterback. 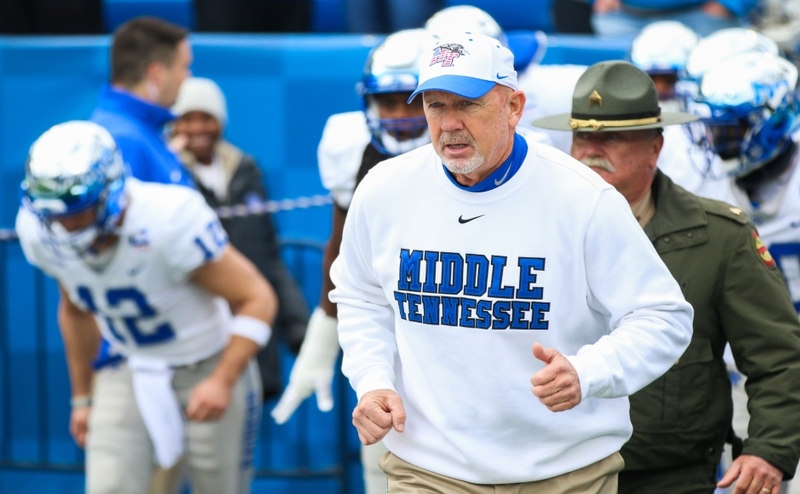 With Banks being the only true quarterback left on the roster, MTSU may be forced to burn John Turner’s red shirt, or activate walk-ons Jordan Middleton or Davis Witt. Middleton was the quarterback at Siegel High School after Brent Stockstill graduated, and Witt set every major passing record at Clewiston High School in Clewiston, Florida. Linebacker Miller Armstrong is another option. Armstrong played quarterback at Blackman High School. James still has one year of eligibility left.